A 360° mast mounted surveillance camera. We are exhibiting the latest SENTRY camera from the 5th March to the 7th March 2019,at the Security & Policing event in the Farnborough International Exhibition and Conference Centre. The Security & Policing event was established over 30 years ago and having a global influence, this Home Office event is the corner-stone of the security calendar and is the only ‘closed’ event of its kind. 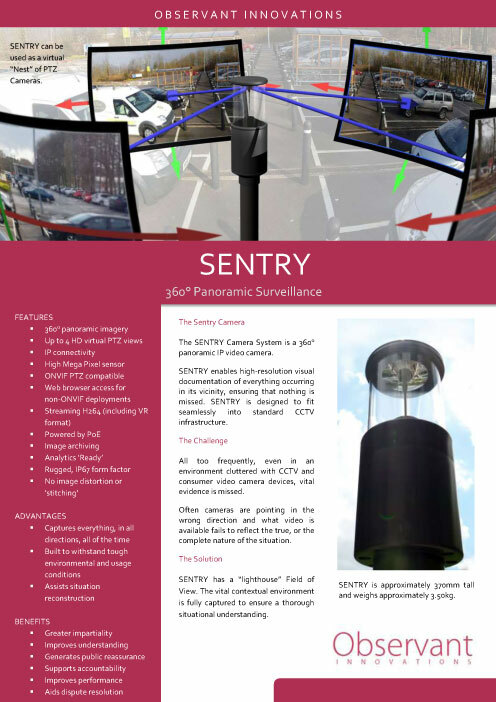 The SENTRY 360° surveillance camera is a pole or mast mounted variant of the PATROL camera. Designed to be attached to a mast or pole, SENTRY provides persistent over watch, in all directions, all of the time. 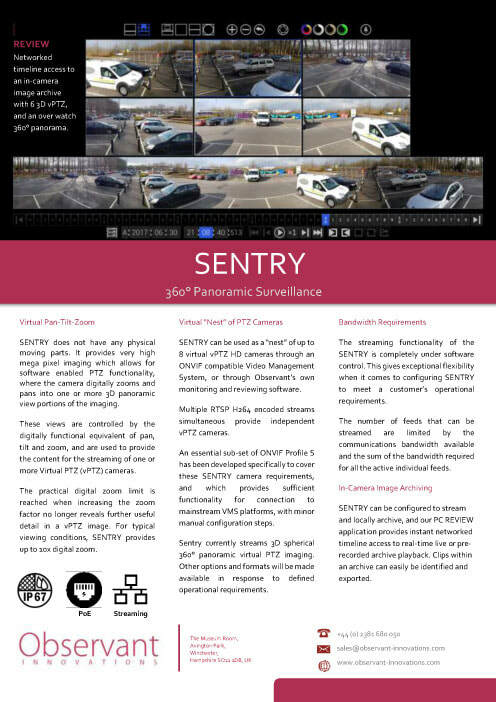 SENTRY is an IP camera system capable of carrying out complex analysis and image processing at the edge of the network optimising incident management and reporting whilst protecting valuable bandwidth. It is equally well suited to fixed or rapid deployment. The camera has a built in mounting that will fit industry standards and is quick and easy to install and manage.